Muriva Stratis Geo Grey Wallpaper is the perfect way to update the look of any room this season. 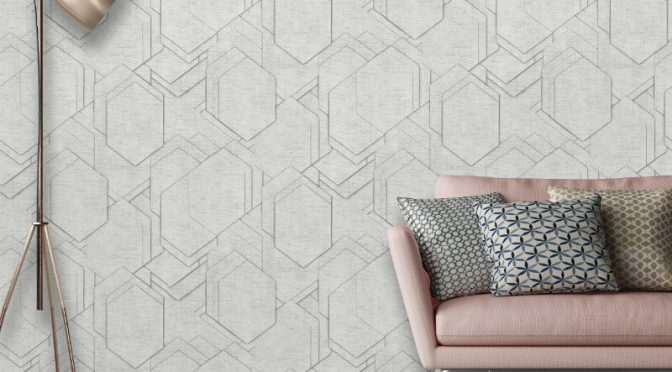 Firstly, this eye-catching wallpaper features an abstract version of a geometric design. So it is sure to make a welcome addition to your home. This design is part of the Muriva Prisme Wallpaper Collection. It is lightly textured for an inviting look. The trans-seasonal colour scheme is perfect this year and beyond. Finally, use the Muriva Stratis Geo Wallpaper alone or team with coordinating wallpaper designs from the same collection for a fabulous finish.